HOBBIES INN: Beginners Guide To Crochet a Fingerless Gloves. DIY Tutorial. Beginners Guide To Crochet a Fingerless Gloves. DIY Tutorial. Hi guys, i'm sharing a basic fingerless gloves tutorial for my reader community. 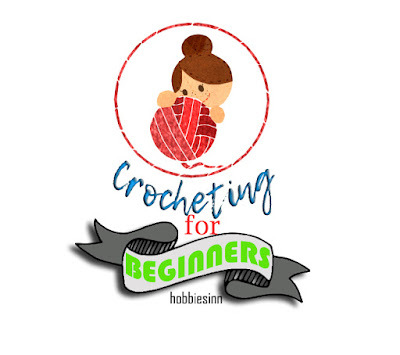 It is a beginners guide as so many people are new to crocheting I decided to post a simple tutorial first before moving on to some tricky ones. You can watch a step by step tutorial on my youtube channel, don't forget to subscribe for the weekly fun craft tutorials. Below you can find the written pattern for this gloves. 2. Round 1: Double crochet on the chain below. (33 stitches) Join the ends. 3. Round 2: Double crochet on each stitch. 5. Round 4 - 5: Double crochet on each stitch. 6. Round 6: Double crochet on 29 stitches. leave 4 stitches. Make a chain 5. Join with other end. 7. Round 7 - 9: Double crochet on each stitch (34 stitches). 8. Round 10: Double crochet on each stitch. Decrease one. (33 stitches). 9. Round 11: Double crochet on each stitch. Decrease one. (32 stitches). 10. Round 12: Double crochet on each stitch. Decrease one. (31 stitches). 12. Round 16: Single crochet on each stitch. Secure firmly. Decorate it as you wish. The pattern is unisex, just don't decorate and use more manly colors. Note: The number of stitches depend upon the size of yarn used and the size of hand. Increase or decrease the stitches accordingly.